Filipino, Tagalog people have a long history in North America but mass migration did not occur until the 20th century with many migrating after 1965. The United States Immigration and Nationality Act of 1965 ended nationality quotas, and provided an unlimited number of visas for family reunification. Many Tagalog people since 1965 migrated to the United States filling various professions (e.g. nurses). They are one of the largest Asian people group in the United States and Tagalog speakers are the third most widely spoken foreign language in households. North America also has more Tagalog people than any other country. As a whole, they are better educated, more likely to have strong English language skills, more likely to be citizens in the United States or Canada, less likely to enter North America as refugees or asylum seekers, and less likely to live below the federal poverty line. Many are employed in the healthcare sector. Pray that God will ignite passion for Him and His work among the Tagalog people. Ask God to give the Tagalog believers boldness to share the Gospel with their own people. 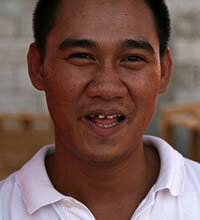 Pray Tagalog believers will cross cultures and evangelize the many unreached people groups in North America. Displaying 1-30 of 74 results.